Tidbits of advice from the one and only, Dr. A — A college professor who cares about people in and out of the classroom. In this episode, Dr. A shares with people the importance of engaging in win-win transactions. In this episode, Dr. A recommends people to engage in journaling if they are having a bad day. What Is Important In This Life? In this episode, Dr. A explains to you what is important in this world in spoken word musical format. Enjoy and don't forget to share it! The More The Sacrifices, The More The Advancements. In this episode, Dr. A explains why you should engage in healthy sacrifices in order to advance your career. In this episode, Dr. A recommends you associating yourselves with great people because in the end... they help you with going through life in a more enjoyable way. In this episode, Dr. A recommends people to be quiet and observe the environment around them. It’s amazing what people find out! In this episode, Dr. A explains why you should not watch TV on a daily basis. In this episode, Dr. A shares with people the need to trust their gut when making a decision. In this episode, Dr. A advices people to do something with their hands in life, as the act of producing something with their hands is overall good in life. In this episode, Dr. A explains to people the importance of focusing in the present not in the past. In this episode, Dr. A shares with people the need to experiment in order to discover their gifts in life. In this episode, Dr. A says... release negativity for a better life. You won’t regret. In this episode, Dr. A shares with people that successful people learn new things everyday. In this episode, Dr. A explains why you should have a morning routine. The Importance Of Having Self Confidence In Life. In this episode, Dr. A explains why it is important to have self confidence in life. In this episode, Dr. A days... control your emotions and be proactive to live a good life. In this episode, Dr. A explains why you should start at the bottom to have lifelong success in your life. In this episode, Dr. A explains to people that unfollowing negative people on Facebook sometimes is the best thing people should do to live a happy life. In this episode, Dr. A explains why you should paraphrase content when Communicating with others once in a while. It builds rapport! In this episode, Dr. A explains why you shouldn’t complain in your life and should seek a solution based on your skillsets. In this episode, Dr. A explains why asking great questions can be great for your life. In this episode, Dr. A shares five tricks to make people more productive. In this episode, Dr. A days, “Don’t rush Into things” to avoid making mistakes. In this episode, Dr. A shares with you three ways that you can spend quality time alone. In this episode, Dr. A reveals how you can buy cars cheap in 2018 and beyond. In this episode, Dr. A reveals how people can get jobs after college. In this episode, Dr. A explains why getting married pays off. In this episode, Dr. shares with you three Ways you can use to build integrity. In this episode, Dr. A shares his secret of learning a second language quick. In this episode, Dr. A reveals ways to help people to make money in 2018 and beyond. In this episode, Dr. A reveals how you can make money while in college in two simple steps. In this episode, Dr. A reveals how managers keep great people in their organization. In this episode, Dr. A reminds people that failure is the beginning not the end of anything. 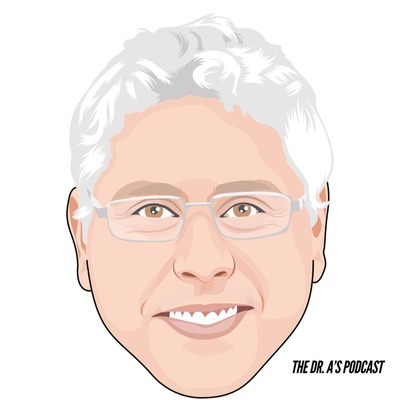 In this episode, Dr. A shares with people the importance of smiling to influence others. In this episode, Dr. A reminds students about the importance of being frugal. In this episode, Dr. A reminds people about the importance of being happy. In this episode. Dr. A explains why you should live your life for you. In this episode, Dr. A explains why you should listen to your fears. In this episode, Dr. A explains why you should not micromanage people. In this episode, Dr. A reminds students to not change things too quick. In this episode, Dr. A shares with students the importance of doing things one task at a time. In this episode, Dr. A shares with others the importance of treating others with respect. In this episode, Dr. A explains why you should understand the macro. Have perspective! In this episode, Dr. A explains why you shouldn’t be delusional in life. In this episode, Dr. A explains to students how to win the game. In this episode, Dr. A reminds students to not appear too perfect in life. In this episode, Dr. A shares with students the importance of walking calmly for success. In this episode, Dr. A explains to students the importance of communicating things clearly to others. In this episode, Dr. A advises students to slow down for success. In this episode, Dr. A reminds students that they must visualize their successes in order to win in life. In this episode, Dr. A reminds students that they must keep their cool in life in order to be successful. In this episode, Dr. A explains the need for students to be silent sometimes. In this episode, Dr. A talks about the importance of walking calmly for success. In this episode, Dr. A reminds students to be patient to avoid anxiety. In this episode, Dr. A explains to students that being adventurous (not irresponsible) is a good thing. In this episode, Dr. A explains why you should engage in self reflection daily. On this episode, Dr. A explains why you should be self confident not arrogant. In this episode, Dr. A explains why one task at a time time management is best for you. In this episode, Dr. A declares... It’s not worth it to be afraid. In this episode, Dr. A explains why you should have a “Smitty” on your side. In this episode, Dr. A explains why you should build long lasting relationships. In this episode, Dr. A recommends students and alike to have a “crazy” (funny) friend on their side in order to laugh more and be less sad. In this episode, Dr. A shares with students the importance of having a Loyal Confidant in life. In this episode, Dr. A shares with students that believing in yourself can help you to achieve more. In this episode, Dr. A explains why you should be patient in life. In this episode, Dr. A explains to students that counting to 10 before exploding is much better than the alternative in the workforce. In this episode, Dr. A literally states that females must be assertive in order to share their innate ability to lead. In this episode, Dr. A shares with students the importance of reading great books. In this episode, Dr. A reminds students that learning new Skillset is good for them. In this episode, Dr. A shares with the students an important life tip. Don’t procrastinate! In this episode, Dr. A explain to students that living in the past is bad and that they need to live in the present to make their future. In this episode, Dr. A reminds students that taking a break once in a while is good for them. In this episode, Dr. A explain to students the importance of doing to do lists on a daily basis. In this podcast, Dr. A explains to students the importance of not asking for perks early on in their jobs. In this episode, Dr. A explains why students should learn a second language. In this episode, Dr. A reminds students that being too political is likely to make students more anxious. In this episode, Dr. A reminds students of delivering what they have promised. This is a great one to be shared with family and friends. In this episode, Dr. A recommends students to read paper-based books instead of ebooks as paper based books are better on their eyes. In this episode, Dr. A tells students to get out of their comfort zones in order to discover themselves. In this episode, Dr. A explains why students should use affirmations in life. In this episode, Dr. A reminds students that having priorities in life is key to long term life success. In this episode, Dr. A explains the need for people to have stakeholder buy ins before proposing big change. In this episode, Dr. A explains to students the need to speaking with their teams on a weekly basis. In this episode, Dr. A reminds students that setting realistic deadlines are critical to success. In this episode, Dr. A explains to people why they should check references before making a job offer. What Really Keeps People In A Job? In this episode, Dr. A presents what he thinks keep people in a job long term. In this episode, Dr. A reveals a secret to delivering a great speech — Be prepared. In this episode, Dr. A reveals that those who say much don’t do much and that students need to be aware and cautious about them. In this episode, Dr. A shares with students that people never change despite the fact they say they do. In this episode, Dr. A shares with students the importance of starting life doing things they know. In this episode, Dr. A explains why students should have a LinkedIn account. In this episode, Dr. A explains that prioritizing tasks are key for student development. In this episode, Dr. A reveals to students one of his biggest tricks — Vary Your environment for inspiration. Solid. In this episode, Dr. A explains to students that taking a break every 30 minutes is key for one’s success in the workforce. In this episode, Dr. A reminds students that setting deadlines in life is critical for success. In this episode, Dr. A shares the need for students to surround themselves with good people. In this episode, Dr. A explains that visualizing success is key to success. In this episode, Dr. A reminds students that smartphone detox is a good thing and that they should do it in order to live a better life. In this episode, Dr. A reminds people that it is never too late to start anything. In this episode, Dr. A reminds people that failure is a part of life. It’s what people do about it that matters. In this episode, Dr. A recommends students to put their cell phones away 2 hours before going to sleep in order to live a good life. In this episode, Dr. A shares with students his mom’s secret for relieving anxiety or stress. In this episode, Dr. A shares one of his tricks to deal with stress. Take a break every 30-40 minutes. In this episode, Dr. A reveals to students that journaling is a good way to alleviate anxiety. In this episode, Dr. A shares with students that travel is a great way for people to develop themselves. In this episode, Dr. A explain to people that loving their enemies is important. In this episode, Dr. A shares about the importance of being true and honoring your old friends. In this episode, Dr. A explains why paying attention to the minority of people is important. In this episode, Dr. A explains why professionals should make decisions by consortium in order to live a good life. In this episode, Dr. A explains how to handle a crisis the right way. In this episode, Dr. A explains that people put their money where their heart is. In this episode, Dr. A explains that is better to be alone than to have bad company. In this episode, Dr. A explains to people the need to not befriend arrogant people. In this episode, Dr. A explains how people should deal with a coward. In this episode, Dr. A explains why fear isn’t something that people should be concerned about if they have God in their side. In this episode, Dr. A shares with students the importance of having a solid opportunity in hand than 10 flying. In this episode, Dr. A reminds people that saying hello to others is a good thing. Don’t be grumpy by cool. In this episode, Dr. A explains that it is normal for you to experience people’s jealousy in life if you do things right. In this episode, Dr. A teaches students that public rebukes are inappropriate. Do them in private. In this episode, Dr. A explains to students the need to speak less rather than speaking more. In this episode, Dr. A shares with students the importance of saying Yes or No and sticking to it. In this episode, Dr. A reminds students that loving Foreigners is what we all should do rather than hating them. In this episode, Dr. A recommends students to fast before making any big decision because God has told us so. In this episode, Dr. A shares with students the need to choose love over revenge. In this episode, Dr. A shares with students that asking great questions is key in order to live a great life. In this episode, Dr. A share with students another way to think about building wealth. In this episode, Dr. A advises students to trust but verify. In this episode, Dr. A reveals to students that not eating before going to the grocery store results is students spending more money. In this episode, Dr. A advices students to not rushing into decisions and compromising in life. In this episode, Dr. A reminds students that they need a web presence in 2018. In this episode, Dr. A explains that faking until you make it isn’t the smartest choice for people to make these days. In this episode, Dr. A shares with students that being a snob backfires. In this episode, Dr. A explains why celebrating others is good for you. Iin this episode, Dr. A explains to people that lacking non-verbal communication skills can be detrimental to you. In this episode, Dr. A reveals the dangers of long- term conformity. In this episode, Dr. A explains to students that cowards despise real confrontation and that you should confront them once is a while. In this episode, Dr. A explains why students should speak with a counselor when need it. In this episode, Dr. A explains to students that students must read the Bible in college. In this episode, Dr. A reminds students that their parents love them and that they should listen to them. In this episode, Dr. A shares with students why they should take a class in public speaking in college. In this episode, Dr. A shares with students the importance of looking at life objectively. In this episode, Dr. A explains why having a blog in college is good for students. In this episode, Dr. A shares with students the importance of not burning any bridges while in college. In this episode. Dr. A shares his secret of how you can succeed in college. Be Real! In this episode, Dr. A shares with students that they must produce social media content on a daily basis while in college in order to be discoverable. In this episode, Dr. A shares with students why they should not use their smartphones in class. In this episode, Dr. A recommends students to join a college club in order to meet people. In this episode, Dr. A reminds students that doing things too quickly can be detrimental to them. In this episode, Dr. A reminds students that nobody should push them around in life. In this episode, Dr. A explains why college students should pray in college. In this episode, Dr. A advised students to speak with a psychologist over taking drugs. In this episode, Dr. A shares with students that smoking isn’t the answer to their stress problems and that talking with their professors should help. In this episode, Dr. A recommends students to live life with a routine and no fear. In this episode, Dr. A recommends students to build their network in college for long term success. In this episode, Dr. A recommends to students to never give up. In this episode, Dr. A explains why you should use your smartphone to produce content rather than to consume content. In this episode, Dr. A shared with the audience the importance of sleeping 7-8 hours a day in college. In this episode, Dr. A shares with students why they should go to Summer school. In this episode, Dr. A recommends students to Meet people in the library. In this episode, Dr. A recommends students to not use a credit card in college. In this episode, Dr. A recommends students to spend 60-70 dollars a month in smartphone bills maximum. . In this episode, Dr. A shares with you why having a car payment while in college is a bad idea. In this episode, Dr. A recommends college students to get a meal plan while in college because it should save them money in the long run.